Sugar syrups for candy making are boiled to specific temperatures and carefully handled to control crystallization. But simple syrup is just a mixture of granulated sugar and water heated just enough to melt the sugar. Since no monitoring of the temperature or careful washing of the pan is needed, it’s, ya know, “simple”. Simple Syrup is great as a mixer in cocktails or to sweeten iced tea or lemonade. Proportions for simple syrup generally run from 2 parts water and 1 part sugar to 2 times the amount of sugar to water. A syrup is “heavy” when it has a higher proportion of sugar compared to a “light syrup”. I use simple syrups in most of my layer cakes. I don’t use syrup on oil based cakes, like carrot or red velvet. Those are so moist to begin with the syrup would make them downright soggy. 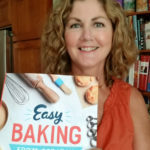 Sponge cakes, especially genoise, are made with very little fat so you need to sprinkle the layers with syrup to moisten the cake, and it will also boost the flavor. The name “sponge” is appropriate because the strong and open structure of a genoise can hold an amazing amount of syrup. Even though my vanilla butter cake has plenty of moisture from butter and sour cream, I add syrup for an extra layer of flavor. Most of the time I flavor the syrup with a liquor that complements the flavors in the cake. I don’t do this just because I like the flavor of liquor (I’ll admit, I do), I do this because the alcohol in the liquor also enhances the flavor of the cake. Some flavors are water soluble, some are fat soluble (that’s why having a little fat in a dish makes it more flavorful) and some flavors are alcohol soluble. 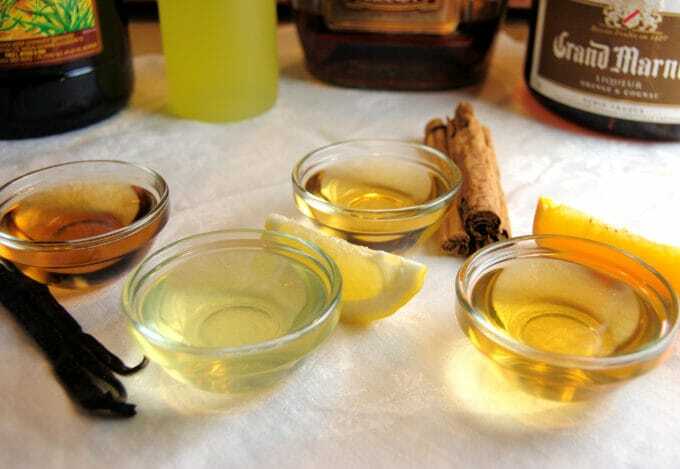 In fact, alcohol will not only dissolve the alcohol soluble flavors in food, it will also dissolve most oil and water soluble flavors and can act as a bridge bringing those flavors together. The liquors can be matched to the flavors in the cake. So sprinkling an alcohol laced syrup onto your cake will bring out layers and layers of flavor. 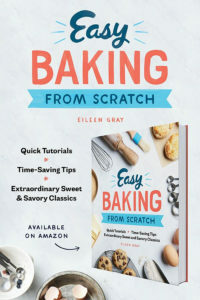 By adding that little bit of liquor to the syrup you’re not making a cake that necessarily tastes like the liquor but you’re enhancing the essential flavors of the cake. This is true for all foods, not just pastry. This is why tomato sauce with a little vodka tastes so good. Vodka itself doesn’t have much of a flavor, but it boosts the other flavors in the sauce. 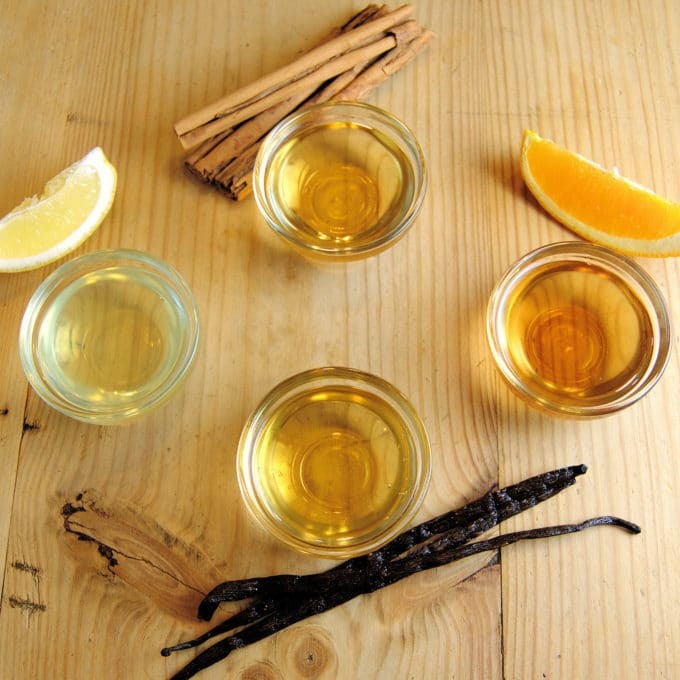 Vanilla, an integral flavor in many, if not most, pastries, is alcohol soluble. Vanilla extract is made by soaking vanilla beans in a clear alcohol such as vodka. After using a vanilla bean save the pod and put it in a jar with vodka to make your own vanilla extract. 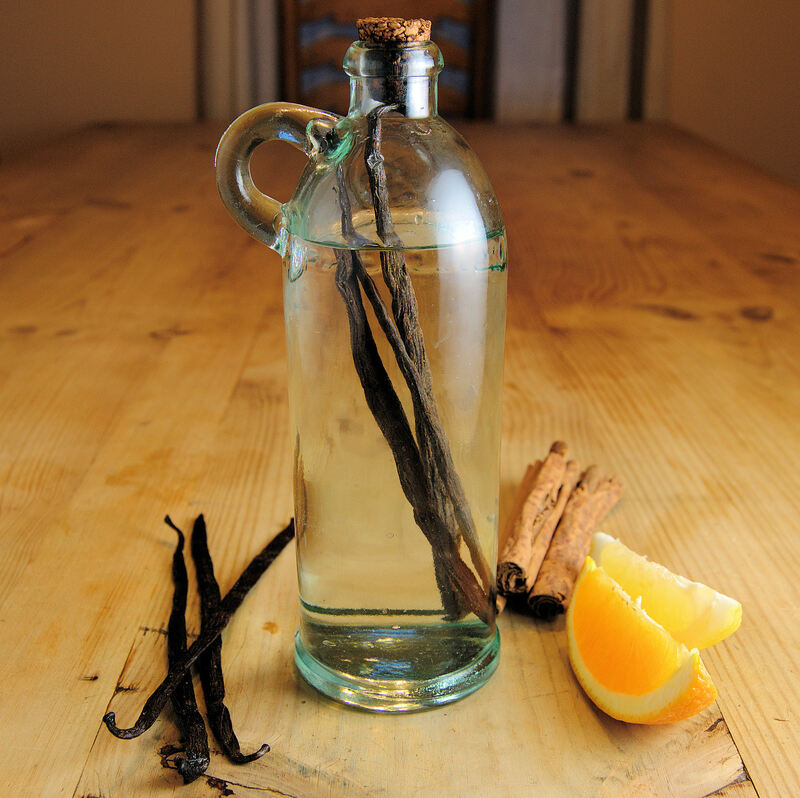 If you don’t mind the waste you can experiment with soaking the vanilla pods in water or oil. 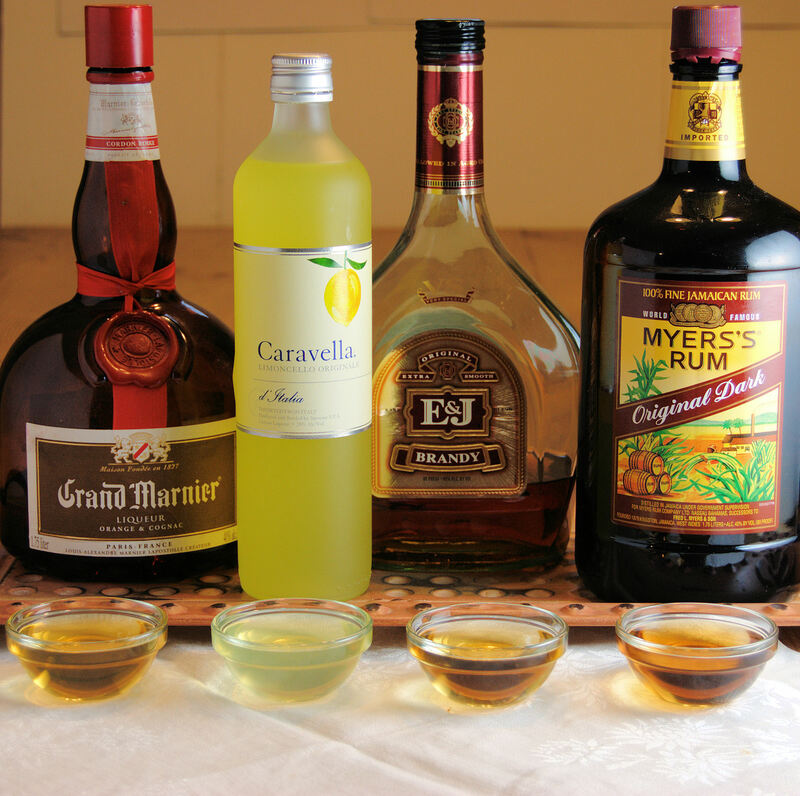 You’ll see how oil and water simply don’t bring out the flavors that the alcohol does. I add a little dark rum to the syrup for my vanilla cake. It doesn’t really taste like a rum cake, it just tastes more like vanilla. For a lemon cake I add a little (well, maybe more than a little) Limoncello to the syrup, for orange cakes I use Grand Marnier and for cakes with spices like cinnamon I like Brandy. It might be “simple syrup”, but just a sprinkle will bring out complex flavors in your desserts. Simple syrup is a pastry kitchen staple. Use it to add a layer of flavor to your favorite cake or stir it into iced tea or a cocktail. Remove from heat and allow to cool completely before adding the liquor/flavoring. The simple syrup can be stored in the refrigerator for several weeks. Without the added liquor, this syrup is also great for sweetening iced tea or lemonade. So the alcohol stays in the syrup, right? Meaning I shouldn’t make this for my daughter’s birthday party? Yes. Although there is just a few tablespoons in an entire cake, the alcohol stays. 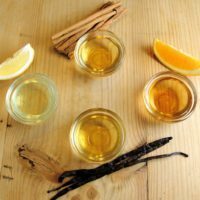 I have often used vanilla or fruit juice to flavor the syrup for an alcohol free version.